The participation of eminent academics and influential experts plays an important part in the adoption of progressive reforms in Member States, such as the introduction of Ireland’s carbon tax, and in Portugal’s recent package of environment fiscal reform, to give two examples. Green Budget Europe’s advisory committee is therefore complimented by a group of nine ambassadors including former ministers and commissioners, government advisers, members of the UNEP Resource Panel and a coordinating lead author of the Intergovernmental Panel on Climate Change (IPCC) report. Frank Convery graduated in B. Agr. Sc. and received his M. Agr. Sc. (Forestry) at University College, Dublin, before finishing his PhD at the State University of New York. Throughout his career, Frank has championed the use of pricing and taxation to combat environmental harm. Frank currently manages the Environmental Defense Fund (EDF) Office of Economic & Policy Analysis (OEPA) to drive the adoption of credible price signals to protect the environment and conserve common property resources in ways that are efficient and fair. He is Honorary President of the European Association of Environmental and Resource Economists (EAERE), and was awarded European Fiscal Reformer of the Year, 2013. Hans Eichel served as Federal Minister of Finance in Germany from 1999-2005, and during this time chaired the G7 in 1999 and the G20 in 2004. After graduating from the University of Marburg and the University of Berlin, Hans Eichel started his political career as Mayor of Kassel to become Prime Minister of Hesse and President of the German Bundesrat. Hans Eichel played a vital role in two landmark reforms – the far-reaching reform of German society and economy (Agenda 2010) and the creation of the G20. Within Agenda 2010, he implemented the Environmental Tax Reform which helped turn Germany into the best performing major Western economy in the aftermath of the global financial crisis. Hans Eichel currently leads the expert group on sustainable structural development for the Friedrich-Ebert-Foundation. Franz Fischler studied agriculture at the University of Soil Science in Vienna, holding various academic positions, and receiving his Doctorate (Dr Rer.nat.oec.) in 1978. His career as a representative of the agriculture sector began by joining the Tyrol Chamber of Agriculture dealing with environmental issues, education and training, culture and land-use planning. He became Director of the Chamber and in 1989 was appointed Federal Minister of Agriculture and Forestry. In that capacity he played an important part in the negotiations for Austria’s accession to the European Union. From 1995 to 1999 Franz Fischler was European Commissioner for Agriculture and Rural Development. When the new Commission was appointed, he also acquired responsibility for Community Fisheries Policy (until 2004). Since then, he has been involved in consultancy work, university teaching and education. Alberto Majocchi received his Bachelor of Laws from the University Pavia, Italy, in 1961, and became Professor of Public Finance at the Faculty of Economics at the same university in 1976, teaching Environmental Economics. He has been Professor of Public Finance at the Universities of Venice, Varese and Castellanza, and has been visiting in the Universities of Cambridge and York (UK). 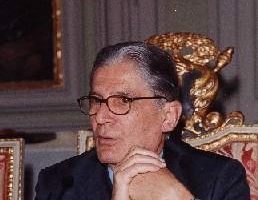 Alberto Majocchi also held the position as Professor European economic problems University Leuven, 1991-1993, during which time he was working as a national expert for the European Commission in Brussels. He became the economic advisor to Italy’s Minister of Environment in 1995, and in 1997, was appointed Director of the European School of Advanced Studies in Integrated Environmental Management. Since March 2003 he has been the President of the Institute for Studies and Economic Analyses in Rome. Yannis Palaiokrassas was born in Athens and graduated from the London School of Economics and Political Science with B.Sc.(Econ.) and M.Sc. (Econ) degrees. In 1959 he was appointed as Head of Section at the Ministry of Coordination in Athens, later becoming General Manager of Windward Shipping, London. A subsequent role saw Yannis Palaiokrassas rise to become Assistant Vice-President of American Express in London and Athens and co-found the Ergobank S.A., before being elected four times a Member of Parliament for the constituency of Cyclades. He then became Minister of Finance in the Greek Government and after that European Commissioner for Environment and Fisheries under Jacques Delors. Yannis Palaiokrassas is currently Chairman of the Lilian Voudouris Foundation, a member of the Board of ELLINIKI ETAIRIA (an environmental NGO), WIND (HELLAS) S.A and the Investment Bank of Greece. 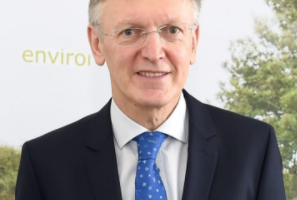 Dr. Potočnik is Co-Chair of the UN International Resource Panel (IRP) and former European Commissioner for the Environment, Science and Research. He graduated from the Faculty of Economics at the University of Ljubljana, Slovenia (PhD degree 1993) and became Director of the Institute of Macroeconomic Analysis and Development (1994). Later on, he was appointed Head of Negotiating Team for Accession of Slovenia to the EU (1998). He was also Director of Government Office for European Affairs (2000), Minister Councillor at the Office of the Prime Minister (2001) and Minister responsible for European Affairs (2002). 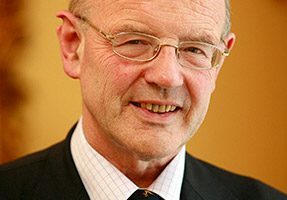 In 2004, he joined the European Commission, first as shadow Commissioner for Enlargement and then as Commissioner responsible for Science and Research. In 2010, he became Commissioner for Environment. In November 2014, he was appointed as a Co-Chair of UN Environment International Resource Panel. He was also appointed as a Chairman of The Forum for the Future of Agriculture and RISE Foundation and a Member of the European Policy Centre’s Advisory Council. Ernst Ulrich von Weizsäcker is the Co-President of the Club of Rome. He studied chemistry and physics in Hamburg and received his PhD from the University of Freiburg in 1969. He became founding president of the University of Kassel before taking up the post as Director of the UN Centre for Science and Technology in New York. He then became Director of the Institute for European Environment Politics in Bonn, Paris and London followed by a position as President of the Institute for Climate, Environment and Energy in Wuppertal. From 1998 to 2005 Ernst was a member of the German Parliament. He is the author of many books and publications on environmental, climate and energy policies and was honoured with the Takeda Award in 2001, the German Environment Prize in 2008 and the Federal Cross of Merit in 2009. 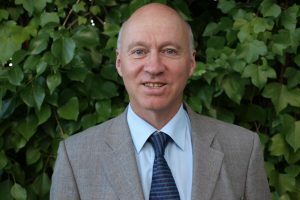 Jeremy Wates is the Secretary General of the European Environmental Bureau, Europe’s largest federation of environmental organizations. Prior to taking up his present post in May 2011, Jeremy served for more than a decade as Secretary to the Aarhus Convention with the Geneva-based United Nations Economic Commission for Europe. Before this position, Jeremy founded the Irish environmental organization Earthwatch, the Irish member of Friends of the Earth International, and led the organization for more than a decade, as well as campaigning for the European ECO Forum, an NGO coalition, to persuade governments to start work on a treaty on environmental democracy. Jeremy holds an MA Honours Degree in Philosophy and Social & Political Sciences from Cambridge University, UK, and in 2011 was awarded the David Brower Lifetime Achievement Award. Anders Wijkman is Senior Advisor to the Stockholm Environment Institute, department of Energy Systems at Linköping University. Anders was a Member of the European Parliament from 1999 to 2009, where he focused on issues related to environment, energy and climate, development cooperation and humanitarian affairs, receiving parliamentary awards for his work. Prior to his election as an MEP, Anders served as Assistant Secretary-General of the UN and Policy Director of UNDP (1995-1997), Secretary-General of the Swedish Society for Nature Conservation (1989-1991). He was also member of the Swedish Parliament from 1970 to 1978. Anders is a member of the Club of Rome, the Swedish Royal Academy of Sciences and the Swedish Royal Academy of Agriculture and Forestry. He is the author of several books on sustainable development, HIV/Aids and European integration.